The death of Gerald “Gerry” Meyer, former editor of Britain’s first wartime forces newspaper, severed one of the last remaining links between Orkney and the vast garrison stationed in the islands during the Second World War. 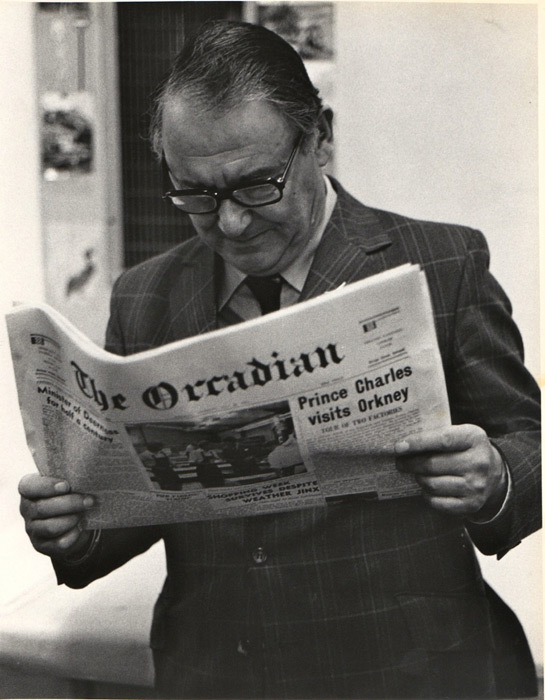 After The Orkney Blast, Gerry went on to edit The Orcadian, the local newspaper, for 36 years during which the islands saw unprecedented change, including the coming of the North Sea oil industry. Gerry was drawn to journalism at an early age, deciding on his future career at seven and starting a diary which he was to maintain until just before his death in July 2014 at the age of 96. He worked first for a French news agency, but it was only after he was called up in 1940 that his life took a northward shift. A brush with a commanding officer who did not share Private Meyer’s labour-saving approach to cleaning duties proved to be the turning point. Caught literally sweeping the problem under the carpet, he was given the choice of a move to either Gibraltar or Orkney, both remote and unappealing billets. He chose Orkney as the one he knew least about, but it was a decision that could easily have proved disastrous: Orkney was a posting famously loathed by wartime troops, epitomised in the poem “Bloody Orkney”. The islands’ constant wind, frequent rain and long, dark winter days are an acquired taste. True to form, it was “on a cold, grey, bitter autumn day in 1940” that Gerry had his first sight of the islands. Facilities were sparse, with bare boards on the beds and toilets in short supply, but Gerry was soon producing a newsletter under the pen name Geremy – an anagram of G. Meyer. It circulated around the offices commandeered by the army in the Stromness Hotel, situated in Orkney’s second town and one of the bases for the substantial military presence on the islands. It eventually attracted the attention of the writer Eric Linklater, then a major in the Territorial Army, who was establishing a forces newspaper to raise morale. Gerry was duly appointed editor of The Orkney Blast, although Linklater was posted elsewhere before he could see the first edition published in January 1941. The Blast was the first of its kind – though others would follow elsewhere – and resources were necessarily limited. “For the first three months we had neither office, telephone or typewriter”, Gerry remembered. The first issue was almost derailed by a snowstorm, which saw off Gerry’s initial collaborator on the paper, who was invalided home with pneumonia. But before long it had its own office hut, and a weekly front page “adorned by an attractive film star”. The stars themselves came for interviews during tours to entertain the forces – Gertrude Lawrence and Gracie Fields, Tommy Handley and Will Hay. Others included (Bud) Flanagan and (Chesney) Allen, John Mills and Harold Nicolson, the diplomat and author. The paper also included reports from district correspondents and features on Orkney’s wildlife and history by local experts. However, despite a visit in person to 10 Downing Street – where he was met at the door by a butler – the Blast’s editor failed to extract a message from the Prime Minister, Winston Churchill. With a circulation of 6,000 copies, the paper created a much-needed sense of family for the many thousands of servicemen and women in Orkney and linked them into the local community. It ran until November 1944, when the war was moving east and military personnel were leaving Orkney. Gerry was posted first to Brussels to work on Soldier magazine, then – as if to complete his penance for his cleaning deficiencies – to Gibraltar to edit the Gibraltar Chronicle. Demobbed, he returned to London, but not before romance had blossomed. Gerry had met Nora Hancox, a local Orkney girl, at a dance. She informed him that she sang in the choir of a Sunday morning so, never one to let slip an opportunity, Gerry was for perhaps the only time in his life to be found in the front row of the kirk. 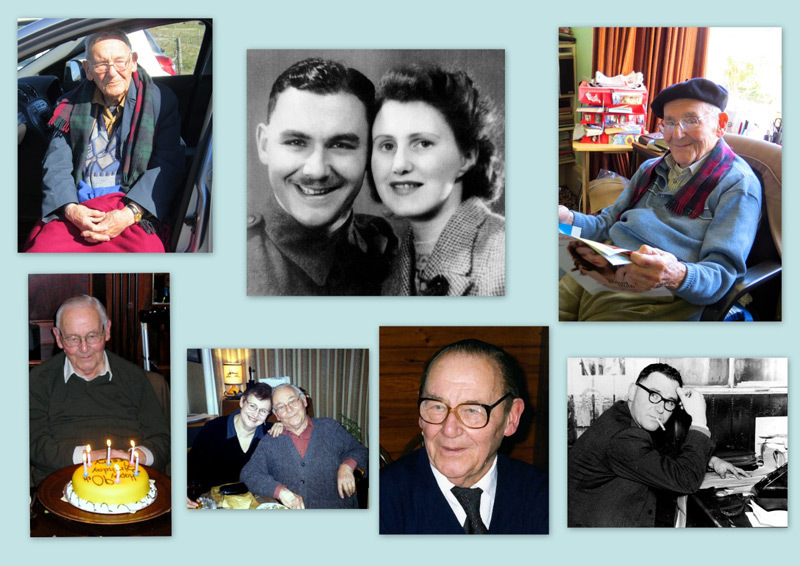 His advances were reciprocated and the pair were married in Stromness on September 9, 1943. In London, Gerry joined the Daily Sketch, but times were hard. The impending arrival of the Meyers’ second child coincided with reduced employment opportunities on Fleet Street, where post-war shortages were limiting newspapers to four pages. Made redundant from the Daily Graphic (as the Sketch had become), Gerry was by now reduced to doing Saturday shifts at the Sunday Chronicle and Empire News, both also part of the Kemsley Newspapers stable. By chance the editorial chair of The Orcadian just then became vacant. Initially agreeing to help out for a few weeks, Gerry was quickly engrossed by the new challenge and stayed on for another 36 years. His new role gave him a unique position to observe the many changes that affected the islands during the post-war period. Orkney faced huge challenges. Funding for development was limited, there was a feeling of marginalisation in the islands and depopulation had become a major problem. Emigration reached levels of over 1,000 a year in the early 1960s, leaving a population of less than 17,000 by 1971. What helped turn the tide was the coming of North Sea oil in the early 1970s and the economic prosperity it brought. There was no shortage of drama either, including hurricanes and a blizzard in the 1950s and, in 1969, the loss of the Longhope lifeboat with its eight-man crew. The disaster left seven widows and 10 fatherless children in the village of Brims on the island of Hoy. 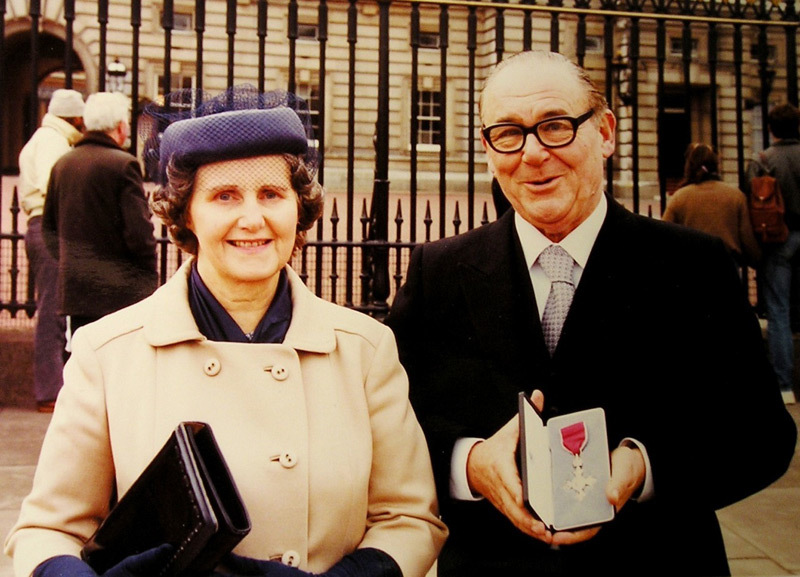 Gerry’s coverage of the events contributed to him being awarded the MBE in 1984. His time at The Orcadian coincided almost exactly with that of Jo Grimond as MP for Orkney and Shetland and, later, as leader of the Liberal Party. As local correspondent for various national newspapers, Gerry was often called on to relay Grimond’s speeches to the wider world. Grimond recalled that, on one occasion, no one turned up to one of his public meetings on one of the remote islands. Gerry, however, insisted that it would be dishonest to distribute a speech that had not been made. He therefore prevailed upon Grimond to make it to an empty hall (and possibly some sheep) so that he could send off his report to the “sooth” papers with a clear conscience. But Gerry’s most illustrious contributor was Orcadian author George Mackay Brown, regarded as one of the greatest Scottish poets and authors of the twentieth century. Mackay Brown’s column was a mainstay of The Orcadian for many years. The importance of the paper to Orkney life and the many exiled Orcadians across the world was reflected in a circulation of 10,000, equivalent to more than half the population of the islands for most of Gerry’s incumbency. A distinctive figure in duffle coat, trilby hat, and often with a cigar, he treated everyone with warmth and courtesy. His hours were similarly gentlemanly, arriving in the office after 10 o’clock, having a proper lunch most days at the Kirkwall Hotel and leaving sharply at home time. He leaves four children, Elizabeth, Michael, Gerald and Raymond, Nora having died in 2010. Elizabeth remains in Stromness, where she is an artist. Both Michael and Raymond returned to the family roots in Switzerland, Michael editing a publication for the European Broadcasting Union in Geneva for many years before retiring to France, while Raymond is still an electronics engineer in Switzerland. Gerald works in the computer industry in Edinburgh. Magnus Grimond is a writer with Schroders in London. He has worked as a financial journalist on various newspapers including The Scotsman, The Independent and The Times, after starting his career as a journalist with BBC Radio Orkney and The Orcadian.